Rocket Booster Controls: Part 2! | Becoming Star-Lord. Using an X-ACTO knife, I cleaned out the grooves and tried to smooth out any rough parts on these props. Once I was satisfied with the grooves, I spray painted them flat black. 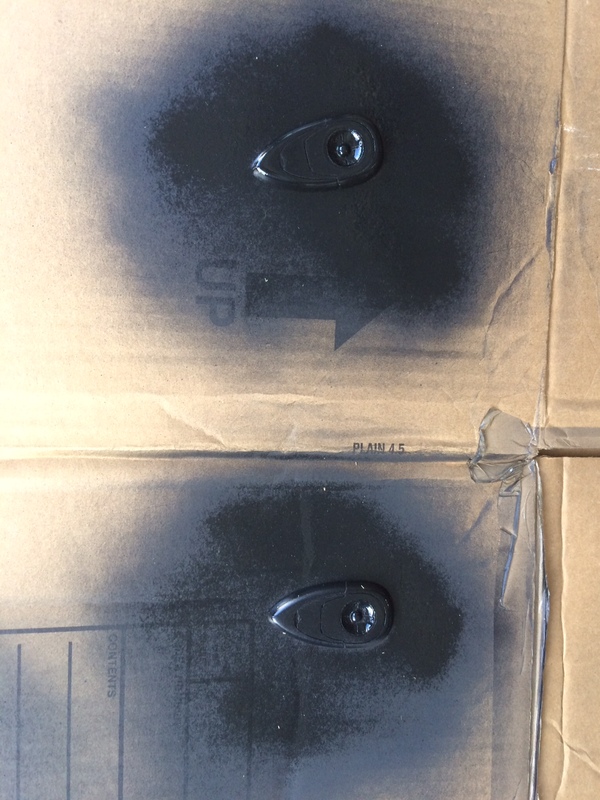 Spray painting the booster controls. I made sure not to fill the grooves with paint by overdoing it with the paint. Using a brush this time, I slowly applied a layer of silver Rub-N-Buff to give it a dirty, metallic look. 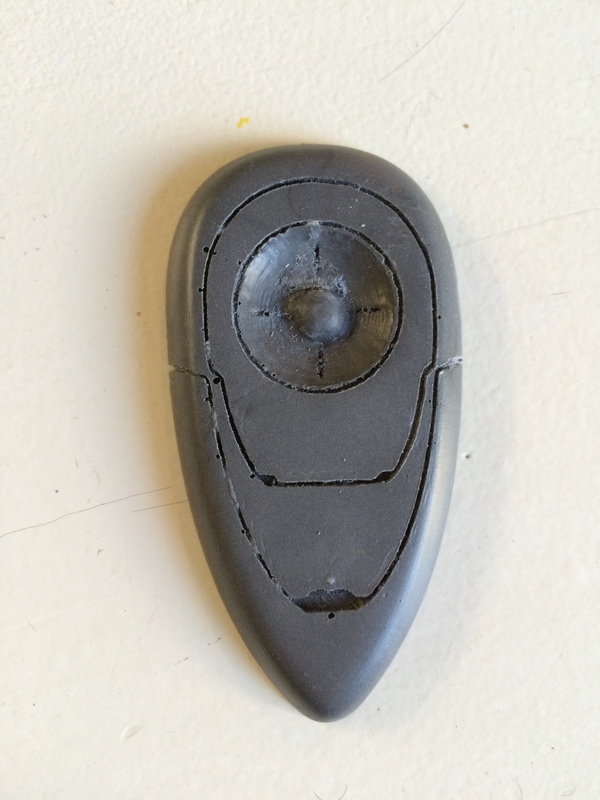 I left the center button black to match the film used prop. When I liked the look, I sprayed it with a coat of glossy Deft to protect the paint. One thing I noticed with the Rub-N-Buff is that it NEEDS the clear coat. With paint, you can get away without the protective coat. You would be taking a chance that the paint chips, but you could handle the prop carefully and get away with it. Not so with Rub-N-Buff. Because it is wax based, a thin coat never really seems to dry completely. It will rub off and blemish if touched with enough force. Just a word of caution there. Finished product on the right. Thoughts? This entry was posted in Props, Rocket Booster Control and tagged charity, Children, Chris Pratt, cosplay, costume, disney, fundraising, guardians of the galaxy, Marvel, non-profit, props, rocket booster, rocket booster controls, Star-Lord, Starlord, Superhero, toys on July 30, 2015 by Liam.